Octavia’s Orchard is inspired by the work of Victorian social reformer and founder of the National Trust, Octavia Hill (1838-1912) who, a century earlier campaigned for open spaces in London. 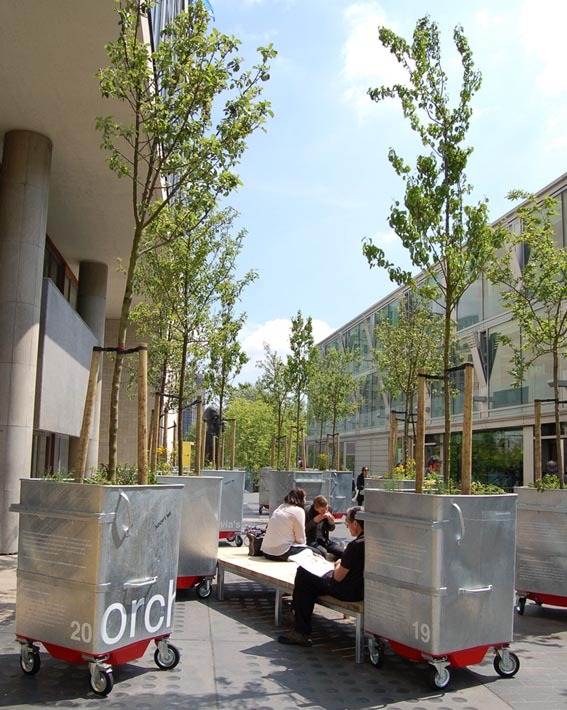 The orchard highlights the continued lack of access to green space in urban areas and explores opportunities for temporary greening of underutilised public spaces. 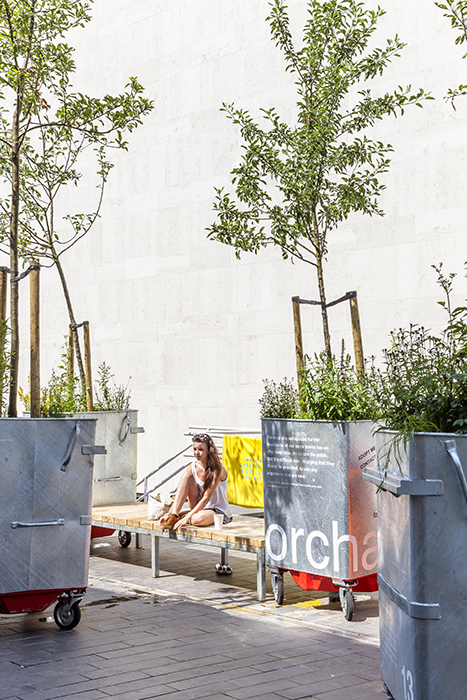 In September 2013 the orchard was relocated from the Southbank to its permanent location on four housing estates in London. To help create these new orchards four community groups were twinned with National Trust places to gain support and training from their expert gardeners. The project is aiming to bring the National Trust treatment of green spaces to the housing estates in London. 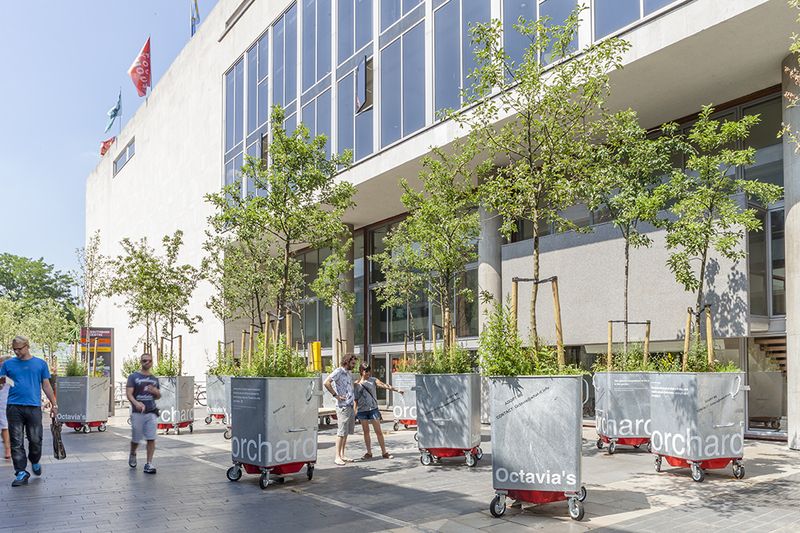 Octavia’s Orchard has been commissioned as part of Southbank Centre’s Festival of Neighbourhood and produced in collaboration with the National Trust. Adopt me: The orchard trees and seating were adopted by four housing estates: Trewlaney Estate (Hackney), Pembury Estate (Hackney), Albert Barnes House (Elephant&Castle), Phipps Bridge Estate (Morden). Bins were reused for greening projects in Brixton, Hanover School (Islington) and for the Rye Lane Orchard (Peckham).